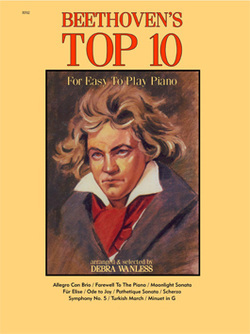 Beethoven's Top 10 offers easy-to-play classics from the master. Includes: Allegro Con Brio, Farewell to the Piano, Moonlight Sonata, Für Elise, Ode to Joy, Pathetique Sonata, Scherzo, Symphony No. 5, Turkish March, Minuet in G.